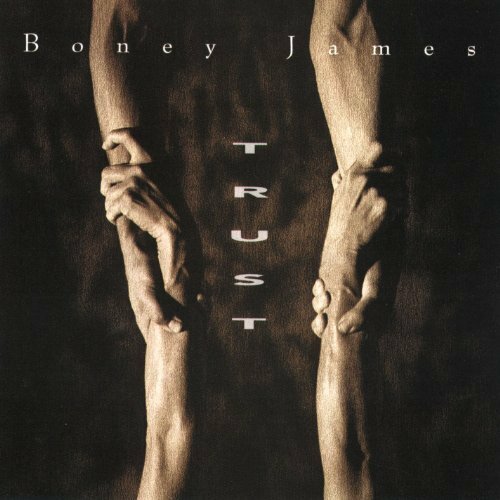 Sax player Boney James is one of the more durable smooth jazz artists. This cover of Stevie Wonder's Creepin' was on his 1992 debut album Trust and it's one of his signature songs. He was born James Oppenheim Sept. 1, 1961 in Lowell, MA and he grew up in New Rochelle, NY. He began to play clarinet at age eight and then switched to sax. His main influence was smooth jazz pioneer Grover Washington Jr. At age 15, he moved to Los Angeles with his family. He was in the fusion band Line One while attending UCLA. After graduating, Morris Day hired James to play keyboards. James convinced Day to let him play sax. He toured with Day for four years. He also toured with The Isley Brothers, Bobby Caldwell and Randy Crawford. The nickname Boney James was a comment about Oppenheim's physique by a fellow starving musician. While on tour with Caldwell, James met guitarist and producer Paul Brown. They released the 1992 album Trust on the indie label Spindletop. And it did so well that Warner Bros. signed James to a contract. Of course Creepin' is a Stevie Wonder Song from the 1974 album Fullfillgness First Finale. James and Brown wrote most of the other songs with arranger Jeff Carruthers. Musicians include Allen Hinds on guitar, Roberto Vally on bass, Carlos Vega on drums and Lenny Castro on percussion. James had a great run on Warners until he left for Concord in 2004. He also had success recording with trumpeter Rick Braun. I was surprised that Warners hasn't released a Boney James comp. 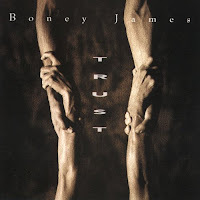 Trust is out of print on CD but it is available as a digital download. James is currently on tour. He does a lot of jazz festivals and jazz cruises. He still records for Concord. His latest CD futuresoul was released 2015 and it includes guest appearances by singer Stokely from Mint Condition, Dwele and trumpeter Marquis Hill. Here's Boney James with Gregg Karukas on keyboards, Ray Fuller on guitar, Smithy Smith on bass and Donnel Spencer on drums performing Creepin'.